Join us on Saturday, 23 September, for a day dedicated to improving the people’s dataset! For 2017’s National Day of Civic Hacking, we ask you to roll up your sleeves and data jam with us. Last year, we worked with NYC Parks to improve their TreesCount! Census data. This year, we will shine a light on NYC 311’s service requests and explore how to best use insights to improve community board decision making. Will you join us and make “people’s data set” better? (2) three classes of 20 people will have a chance to use NYC 311 service request data and up their data / analytics skills. As this is an inclusive event, childcare is provided for free through the generous support of Socrata. Apply or register for the event via Eventbrite. How can NYC 311 service requests help improve the City’s capital budget process and improve Community Board district needs statements? What is an ideal future of NYC 311’s service request data and its open data schema? How do we examine service requests to derive Agency performance insights? How can data bias be derived within NYC 311 data? Note: classes have a small application fee and will be capped at 20 participants. Tickets are first come, first served. Data jammers must go through a challenge selection process, and will be accepted on a rolling basis. Applications close on Thursday, September 7th. A small disclaimer, NYC 311 is not the event organizer; NYC 311 is an event partner. 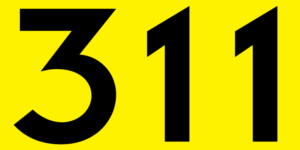 The NYC 311 logo is copyrighted by the City of New York. NYC 311 data jam is possible thanks to our partnership with Rise New York. Rise New York is a global community of startups and corporates creating the future of commerce and fintech by helping startups and entrepreneurs connect, co-create, and scale innovation. In partnership with Barclays, we listen, nurture and oxygenate through our international network of Rise hubs. Rise New York also houses a world-class event space and is home to the U.S. cohort of the Barclays Accelerator, powered by Techstars.